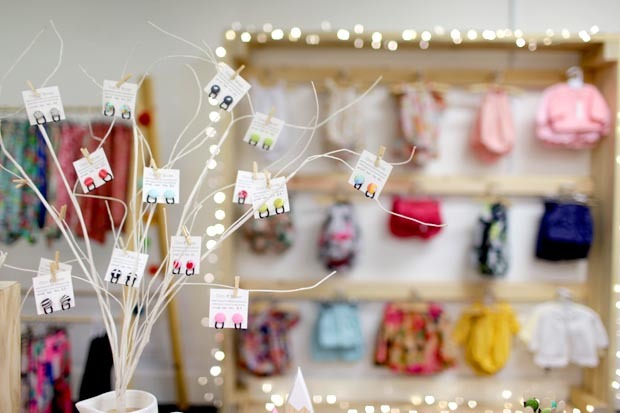 When I was pregnant with our baby blossom I was perusing the Inverloch market with my friend Amy, and she bought me one of the first pieces of anything for our baby-to-be: a sweet little bib adorned with neat rows of vegetables in a garden. Be still my Peter Rabbit loving heart! It became Eleanor’s very first Coco and Moose piece. 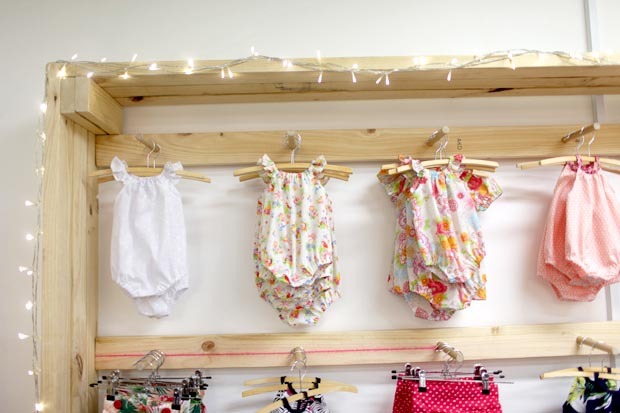 I had long admired Coco and Moose’s wares at local markets, and on madeit, where I ooh-ed and aah-ed over the funky harem pants and bandana bibs for little people. Enter the Bass Coast Shire, just over the hills and down by the coast from me, who saw the need to inject some vitality into sleepy Wonthaggi’s retail shopping strips. 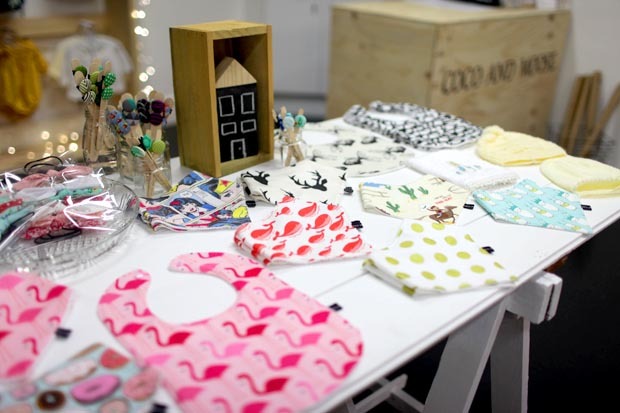 With empty shops all too common and a disconnected sense of community, they initiated a series of pop-up shops to both invigorate work-at-home local businesses and bring fresh faces and energy to vacant shops in the town. 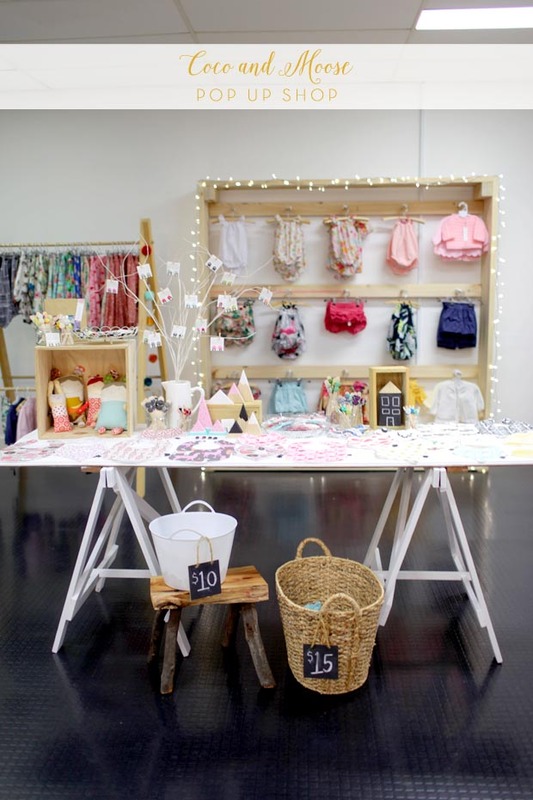 Bianca has transformed an empty retail space into a buzzing hub, brimming with her handmade creations for both boys and girls, the shop displays pretty baby rompers for Summer, comfy slouchy harem pants, funky boys shorts, an array of bibs and matching hair ties and accessories. The thing I love most about Bianca’s work is her clear vision for Coco and Moose’s signature style. 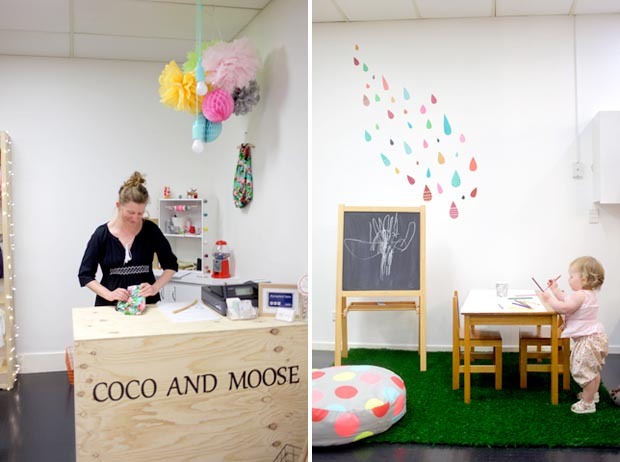 I see an image pop up in my Instagram or Facebook feed and I instantly know that it’s a Coco and Moose creation! Bianca’s attention to detail and particularity in her often unusual fabric choices are brilliant. 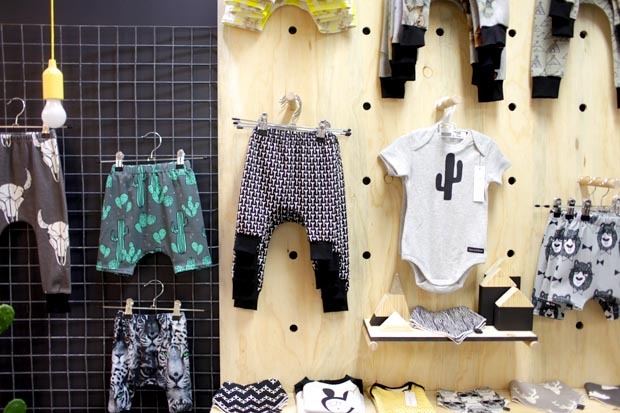 Cheeky flamingos, Scandi deer and hipster cacti abound at Coco and Moose! 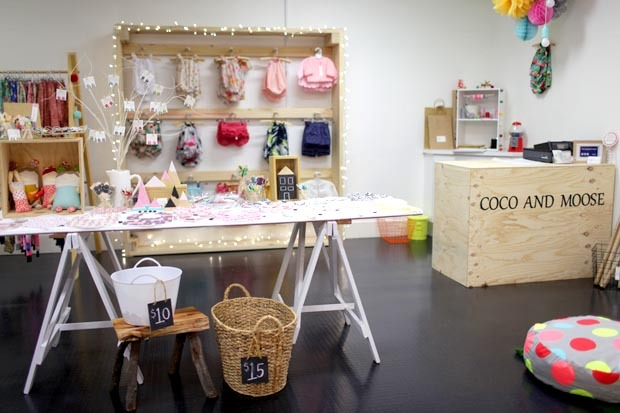 The Coco and Moose pop-up store is a dream come true for any ‘handmaiden’, often working away once the kids have gone to bed on their ‘other baby’: their handmade business. Initiatives like what the Bass Coast Shire has put in place is so brilliant for small business, for small towns, for small communities. I hope to see lots more of it. Because another t-shirt from a big box chain store in a headache inducing shopping centre? No thanks. Handmade for me, any day of the week. 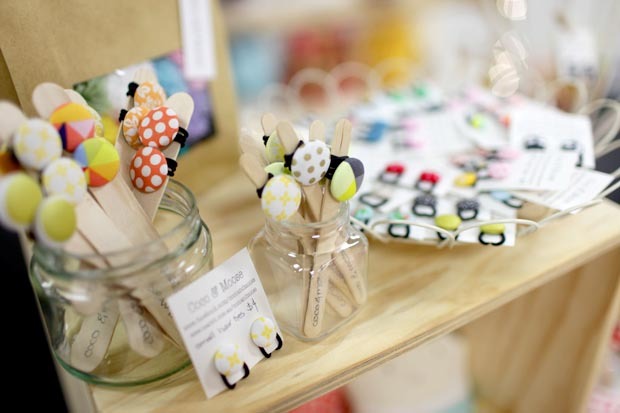 Shop local, shop small. 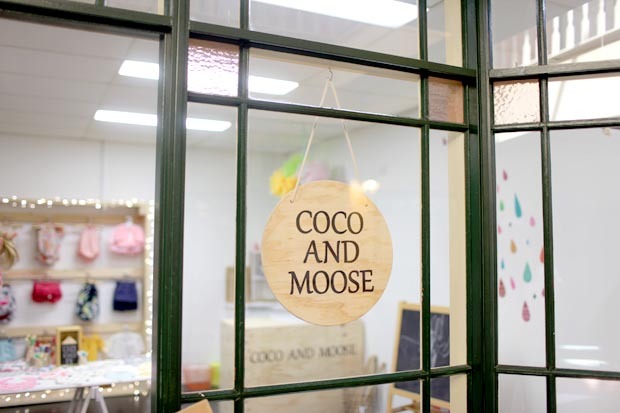 Coco and Moose’s pop-up shop is in the Plaza Arcade, 140 Graham Street, Wonthaggi. 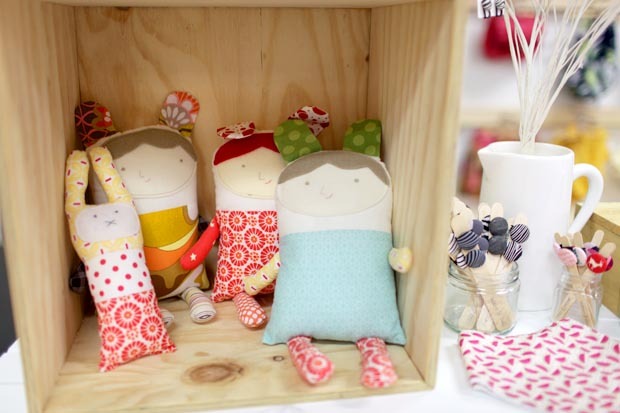 You can also visit the online madeit store here or follow Coco and Moose on Instagram and Facebook.